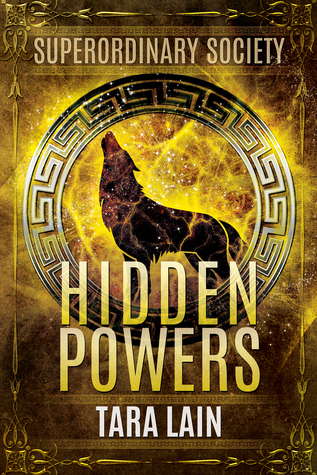 Hidden Powers is the first book in a brand new series called Superordinary Society by Tara Lain. This is the first paranormal book that I’ve read by Tara Lain. I love reading her contemporary books, and so I thought that I would give this one a try. I liked it and thought that it was a good start to a promising new series. I figured with it being a young adult book that it would be light on the romantic side of things, and so it was, which is fine. I liked the chemistry that developed between two of the main characters and will be excited to see how their relationship progresses in the next book. I normally like the author’s writing style, but I found this one to have a lot of information about Jazz’s pack and their backstory and how they were all related to each other. And I found it hard to keep track of who was who and why all of the info that was given was important to the book. I agree with another reviewer’s review about how this part could have been forgone at the beginning of the novel and would have preferred to see more background on how Jazz and his best friend Carla had essentially grown up together and how they got to be so close as friends. I agree with the reviewer that more time invested in their relationship and how it evolved would have been more beneficial to the story. Since this is a new series, I did spend most of the book trying to figure out who were the bad guys and who were the good guys. I was so happy that some of the people that I thought were going to be the bad guys ended up being the good guys. I was also hoping that the villain in the story wasn’t going to end up being one of Jazz’s biological parents or biologically being related to him since he’s adopted and doesn’t know where he gets his special powers from in addition to being an alpha werewolf. This wasn’t confirmed in any way in the book, so I’m hoping that we find out more about Jazz’s biological parents in the next book. I liked the storyline of the book. I liked how Jazz is starting an internship at his family’s company and is going to work his way up in the company as opposed to going to university and then coming in as a CEO or some other high-ranking individual. I also liked how he became friends with his fellow interns, Carla, BeBop, Fatima, Dash, and Khadija and how they each have different powers and abilities that complement each other. They end up forming a group that they call The Superordinary Society and vow to help others in need. I liked how the story progressed after getting through the beginning, and I think I will like the second book in the series a lot more now that I know who the important characters are and what their goals are. I look forward to seeing more of the members of the Superordinary Society and what forces of evil they conquer next. Overall, a good start to a promising new series.